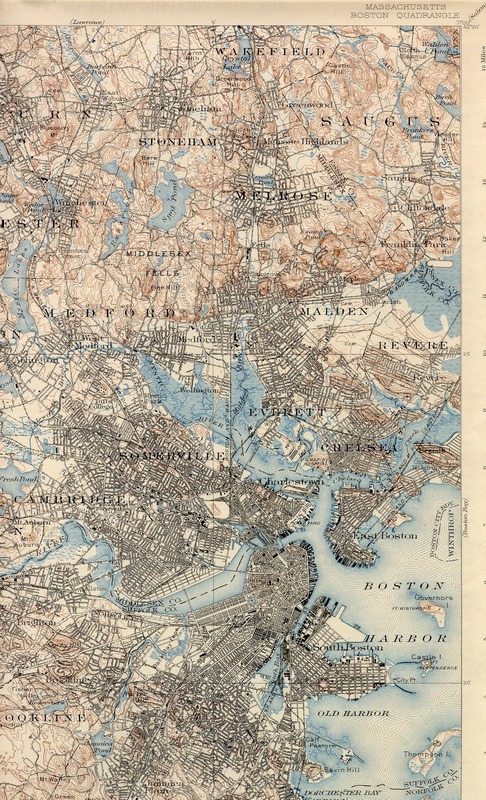 Who was Thomas Blanchard, immigrant to Massachusetts? Was he the son of a Huguenot refugee Pierre Jean who fled France and changed the course of English history or was he of good old English stock? It is doubtful that his father was the heroic Pierre. This seems to be a fanciful story and I can find no documentation to back up this supposed genealogy. Other serious Blanchard researchers have the same thing to say about old Pierre, so I think it's safe to put him in the junky genealogy pile. So I will start with what little is known about Thomas Blanchard and his English origins. A search for Blanchards in Hampshire County, England shows records for people of this surname prior to the 1550s. This does not mean that there weren't Blanchards there before this, just one of the first records I can find using Find My Past. In 1549 a John Blanchard was buried in Goodworth Clatford. A Robert Blanchard was having children in Goodworth in 1550. Multiple other Blanchard marriages and deaths were recorded in Goodworth Clatford. 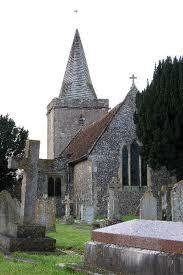 One Thomas Blanchard married Edith Smith on 4 Feb 1551 in Micheldever, Hampshire, some 13 miles from Goodworth Clatford. Another Thomas Blanchard married an Alice Altane on 26 June 1578 in Ringwood, Hampshire. Ringwood is only 30 miles from Goodworth. Clearly there were Blanchard families all over Hampshire, there is no need to look to France his ancestry when clearly his ancestors were English. Thomas was almost certainly born in England c. 1590, probably very near the village he lived in as an adult, Goodworth Clatford, which is a small village about 2 miles south of the town of Andover in Hampshire County in the South of England. During his life Thomas would marry three times. There is no known record of his first marriage but we know her first name was Elizabeth, this is found in the baptismal records of some of their children. Thomas and Elizabeth were married by 1620, based on the age of their first child whose baptism was recorded in the Goodworth Clatford parish register. They would have seven children before her death and burial on 23 July 1636. Together they had one child a daughter, Agnes, baptized on 8 April 1638. Thomas would have been around 52 years of age and Agnes his wife about 35. So what or who would convince a man, who realistically was on the back half of his life, to leave everything he knew to start from scratch in a new country. That who was most likely Peter Noyes. Peter Noyes was a well to do farmer from the village of Weyhill, just to the northwest of Andover. Thomas' wife Agnes was originally from Penton Grafton, near Weyhill. She was the daughter of Robert and Agnes (Gosling) Bent, and was baptized on 16 July 1602. Agnes had married Richard Barnes in Penton Grafton on 11 April 1630 and the couple had had two children, Richard and Elizabeth, before Richard, Sr. death. Agnes was living in the parish of St. Edmund's in Salisbury when she married Thomas in 1637. The group traveled together to London and sailed on the "Jonathan" arriving on 23 June 1639. On board was: Agnes Bent, Thomas and Agnes Blanchard and their children including Richard Bent and Samuel Blanchard, Agnes' niece Jane Plimpton, and unnamed children and possibly servants. Thomas testified in court on 7-9-1648 concerning the will of his second wife, Agnes Bent Barnes. Agnes gave her estate to her son Richard Barnes and her niece Elizabeth Plimpton. Richard was to get 20 pounds, Elizabeth 5, and her brother John Bent was to receive 10 pound and Thomas Plimpton five. Whatever was left was to be divided between Richard and Elizabeth. This was sworn in front of Increase Nowell and witnessed by Peter Noyes. On 6 Feb 1652 Richard, now aged 21, took Thomas to court to recover his 20 pounds. Many folks testified about the death of Agnes' first husband, how she came by the 20 pounds, about the voyage, etc. these included fellow passengers, John Bent, Peter Noyes, and Elizabeth Plimpton. This court case reveals most of the details known about the death of Agnes and her mother and the events that took place on board the Jonathan. The jury found for Richard. Thomas only lived on his Charlestown farm for a short three years. He was by then in his sixties. He wrote his will in 1654. Both his widow Mary and his son Nathaniel would live in the house. Mary was to have eight cows and that were to be fed and cared for. He made provisions for her food, stating that she was to recieve 50 bushels of corn per annum. He made bequeaths to his sons George and Samuel and his grandson Joseph. He died the 21st of June 1654. Mary's fate is unknown. "Hampshire Burials," index, Find My Past (findmypast.com : accessed 19 March 2017) general search for Blanchard. "England Births and Christenings, 1538-1975," database, FamilySearch (https://familysearch.org/ark:/61903/1:1:JQX6-18V : 6 December 2014), Thomas Blanchard in entry for Nathaniell Blanchard, 22 Jul 1631; citing GOODWORTH CLATFORD,HAMPSHIRE,ENGLAND, reference ; FHL microfilm 1,041,258, 918,606. "Hampshire Burials," index, Find My Past (findmypast.com: accessed 19 March 2017) search for Elizabeth Blanchard. "Sarum Marriage License Bonds," index, Find My Past (findmypast.com : accessed 19 March 2017) search for Thomas Blanchard. "England Births and Christenings, 1538-1975," database, FamilySearch (https://familysearch.org/ark:/61903/1:1:NKNK-QBX : 30 December 2014), Agnes Blanchard, 08 Apr 1638; citing GOODWORTH CLATFORD,HAMPSHIRE,ENGLAND, reference ; FHL microfilm 1,041,258, 918,606. "Parish Records St. Michaels Weyhill," index, Freereg (freereg.org.uk : accessed 19 March 2017) search for Agnes Bent. Sumner Chilton Powell, Puritan Village, The Formation of a New England Town, (Middleton, Connecticut : Wesleyn University Press, 1963) 3-20. "Passengers and Vessels to America," The New England Historical and Genealogical Register, Vol. 32 (October 1878) 407-411, digital images, American Ancestors (http:www.americanancestors.org : accessed 20 March 2017). Probate Records of Essex, Mass Vol. 1, 1635-1681, (Salem : The Essex Institute, 1916) 23. "Abstracts of Early Wills," The New England Historical and Genealogical Register, Vol. 17 (April 1863) 156-157, digital images, American Ancestors (https:www.americanancestors.org : accessed 21 March 2017). Thomas Blanchard of Charlestown named his wife Mary in his will. "Abstracts of Early Wills," The Register, 157. Judy Jacobsen, Massachusetts Bay Connections, (Baltimore : Genealogical Publishing Company, 1992) 83. Samuel Austin Bates, Records of the Town of Braintree, Massachusetts 1640-1793, (Randolph, Massachusetts : Daniel H. Huxford, Printer, 1886) 3. Thomas Bellows Wyman, The genealogies and estates of Charlestown : in the county of Middlesex and commonwealth of Massachusetts, 1629-1818, vol. 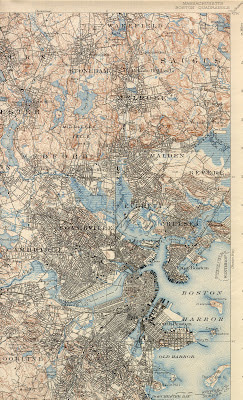 1, (Boston : D. Clapp, 1879) 88. "Our Retrospective Review," The New England Historical and Genealogical Register, Vol 9 (October 1855) 371, digital images, American Ancestors (http:www.americanancestors.org : accessed 20 March 2017). brief article on Barnes. "England Births and Christenings, 1538-1975," database, FamilySearch (https://familysearch.org/ark:/61903/1:1:JQX6-18V : 6 December 2014), Thomas Blanchard in entry for Nathaniell Blanchard, 22 Jul 1631; citing GOODWORTH CLATFORD,HAMPSHIRE,ENGLAND, reference ; FHL microfilm 1,041,258, 918,606.note: surname was spelled Blanchet. "England Births and Christenings, 1538-1975," database, FamilySearch (https://familysearch.org/ark:/61903/1:1:JQXG-36Y : 30 December 2014), Mary Blanchet, 15 Jan 1625; citing GOODWORTH CLATFORD,HAMPSHIRE,ENGLAND, reference ; FHL microfilm 1,041,258, 918,606. "England Births and Christenings, 1538-1975," database, FamilySearch (https://familysearch.org/ark:/61903/1:1:J71X-L9L : 6 December 2014), Samuell Blanchard, 30 Aug 1629; citing GOODWORTH CLATFORD,HAMPSHIRE,ENGLAND, reference ; FHL microfilm 1,041,258, 918,606. "England Births and Christenings, 1538-1975," database, FamilySearch (https://familysearch.org/ark:/61903/1:1:JQX6-18J : 6 December 2014), Nathaniell Blanchard, 22 Jul 1631; citing GOODWORTH CLATFORD,HAMPSHIRE,ENGLAND, reference ; FHL microfilm 1,041,258, 918,606. "England Births and Christenings, 1538-1975," database, FamilySearch (https://familysearch.org/ark:/61903/1:1:NK6V-SYD : 6 December 2014), David Blanchard, 02 Feb 1633; citing GOODWORTH CLATFORD,HAMPSHIRE,ENGLAND, reference ; FHL microfilm 1,041,258, 918,606. Comments welcome. Please google plus this article if you enjoyed it!